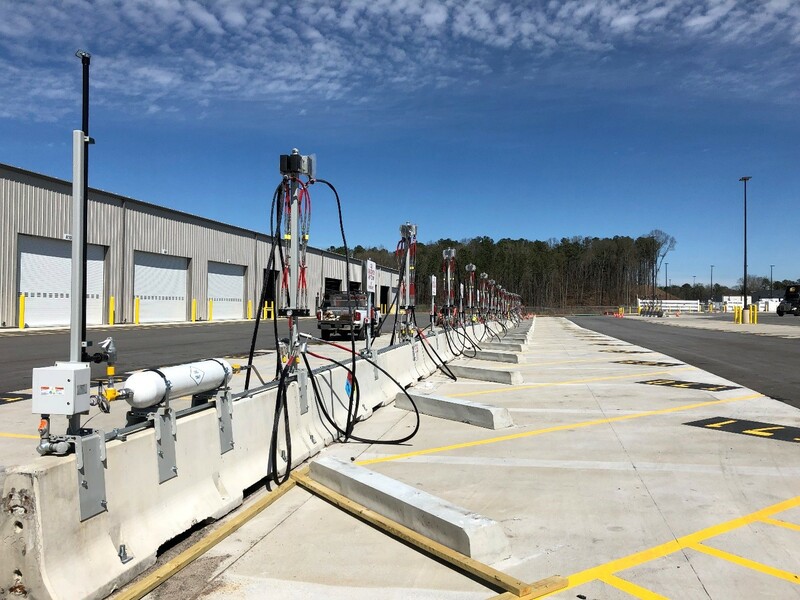 Player and Company constructed a compressed natural gas fueling station for the United Parcel Service in Atlanta, Georgia. The fueling station keeps the brown trucks loaded with clean burning natural gas at all hours of the day and night. The turnkey, fast-track project was completed on-time and within budget constraints. Player and Company self-performed the entire project to included site work, concrete, equipment setting, piping, power, and controls. 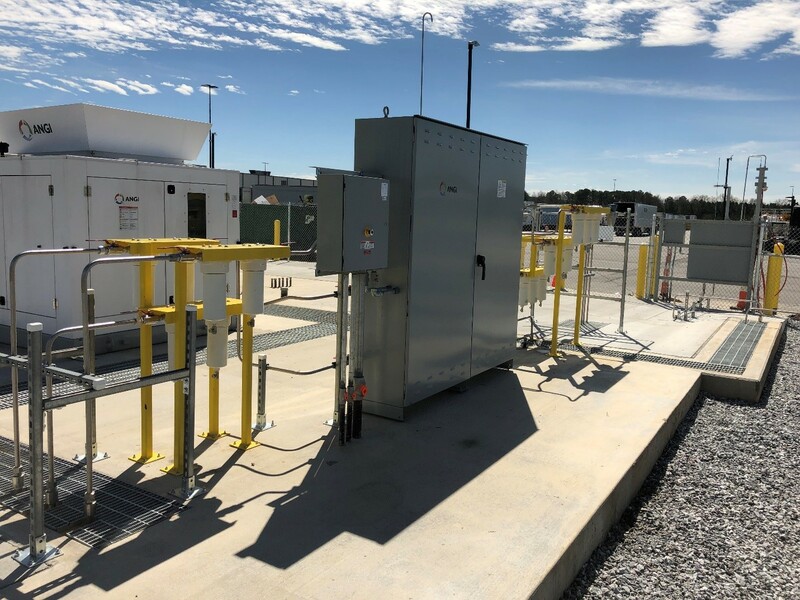 The station consists of a dryer system and five natural gas compressors that take low pressure gas off the pipeline and pump it up to 5,000 pounds per square inch. 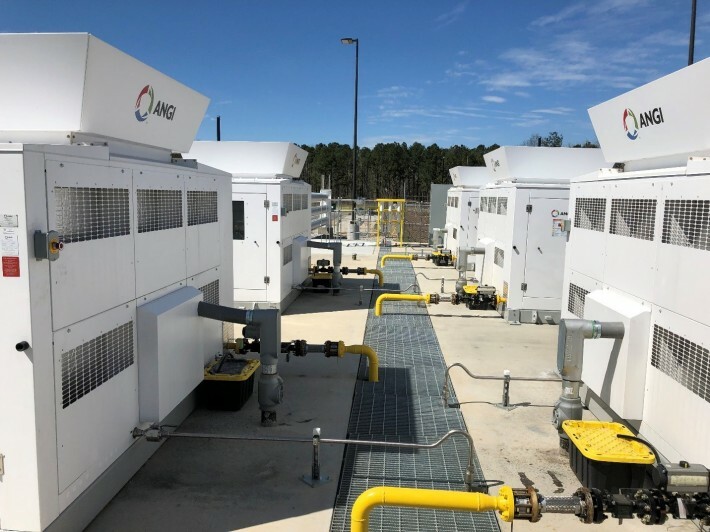 This dry, high pressure natural gas may be stored in a 3-pack of horizontal storage vessels for on-demand supply to over 80 slow fill fuel dispensers. The slow fill dispensers allow the brown trucks to add fuel while parked overnight. The high pressure natural gas may also provide fuel to nine fast fill dispensers. The fast fill dispensers allow trucks to enter the facility, add fuel, and exit the facility in less than 15 minutes. Player and Company installed all the underground electrical and control conduits for the sprawling compressed natural gas fueling station. This includes an electrical building with motor control center and safety monitoring system. The electricians pulled all power and control wiring to tie all station equipment together into one large system. The high pressure stainless steel tubing was completed by Player and Company personnel and pressure tested throughout the entire system.